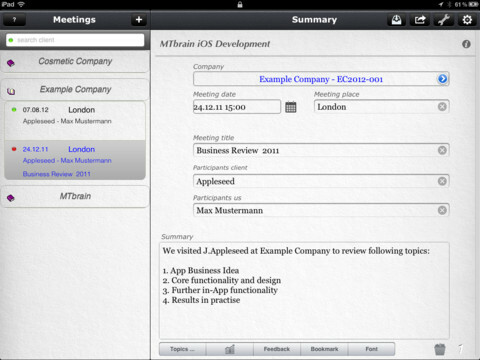 Business Notes 1for iPad, developed by MTbrain, is a Customer Relationship Management (CRM) and documentation tool for all kinds of business people. 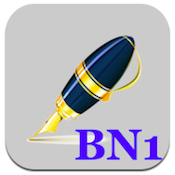 Targeted towards sales people and account managers, Business Notes 1 aims to provide an easy to use iPad app that helps users to centralize and review all their essential information. Sales is a high-paced enterprise that requires both energy and organization, so the ideal iPad app for sales and CRM purposes has to help sales people stay organized while featuring an intuitive design that won’t sap away their energy due to frustrations with the design. In both regards, Business Notes 1 is a smashing success. The app is smartly, intuitively designed. Despite having a robust, massive array of cool features, Business Notes 1 still manages to feel…well…manageable. Despite holding a great deal of customer information, the way all that info gets presented keeps users from feeling overwhelmed by it all. Elegantly designed, thoughtfully presented, Business Notes 1 is pretty darn excellent. Whether you need a central place to store client data, collect customer feedback, or keep notes on how each meeting with a client has gone in recent months, Business Notes 1 is an essential tool for any busy sales team member. 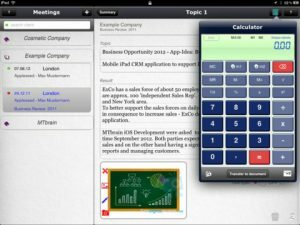 Plus, Business Notes 1 offers a handy calculator, a currency converter, a meeting scheduler, and breaking finance news using Yahoo! Finance in the app to help keep you abreast of news and trends while you are on the go. For members of your sales team who are resistant to using iPad apps to record customer data, there’s some good news. 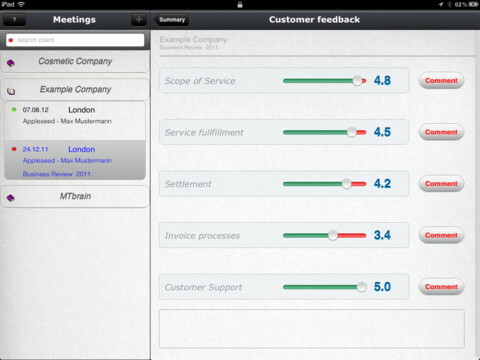 Business Notes 1 for iPad allows you to easily incorporate handwritten notes and graphs, as well as photos, into each client record. 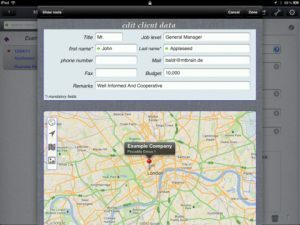 If you need an app to give you actionable, easy to comprehend information about your client base, Business Notes 1 is an iPad application well worth your money. Business Notes 1is compatible with iPad. Requires iOS 5.0 or later.A small expedite fee was paid by the developer to speed up the publication of this iPad app review.